One of the mobile samples that ships with Delphi XE6 and AppMethod is a music player demo app in Firemonkey. The music player demo doesn’t use the cross platform TMediaPlayer component. Instead the demo has two special units, one for IOS, and one for Android that implement native media player functionality. The MusicPlayer.iOS unit wraps the Apple MPMusicPlayerController class into an Object Pascal object called TMusicPlayer. 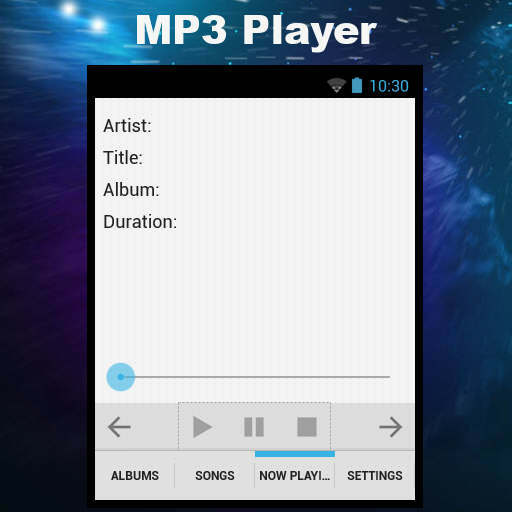 And the MusicPlayer.Android unit wraps the Android MediaPlayer object into another Object Pascal object called TMusicPlayer. It doesn’t have corresponding TMusicPlayer components for Windows and OSX. The demo mp3 player is pretty full featured. You can check out the class reference for the MPMusicPlayerController class over on the Apple Developer site. You can also view the class overview for the Android MediaPlayer object here. If you don’t have XE6 or AppMethod you can check out the the source code over on SourceForge. Head over and check out the full source code for the Delphi XE6 Firemonkey music player demo app.